The Family Hotel Hastal is a 6-store building including an attic. Half of the rooms face west toward the Hastal Square and St. Hastal Church. The Hotel has central heating and elevator. In the rear area of the property is a garden which is used as a summer café for hotel guests. 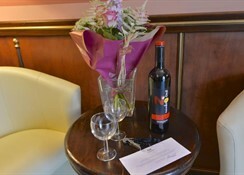 The hotel was completly reconstructed in 2005-7 and offers a total bed capacity of 58 beds and is operated as an A class hotel. All hotel services are on the family base. Own Cafe bar and Restaurant offers typical czech and international cuisine. In the rear area of the property is a garden which is used as a summer café for hotel guests. Conference rooms: only for 10 pax. All residing guests have 5% discount on meals in the restaurant. Room service is available during the opening hours of restaurant. Parking is possible ( Extra charge). Services for guests: sale of gifts and souvenirs, exchange office, cleaning and washing of linen and clothes, fax,tourist guides. There are non- smoking rooms, but also smoking rooms. Hotel Hastal is situated in the north part of the Old Town (town centre reservation UNESCO) at Hastal Square (Hastalske namesti) across from the St. Hastal Church. 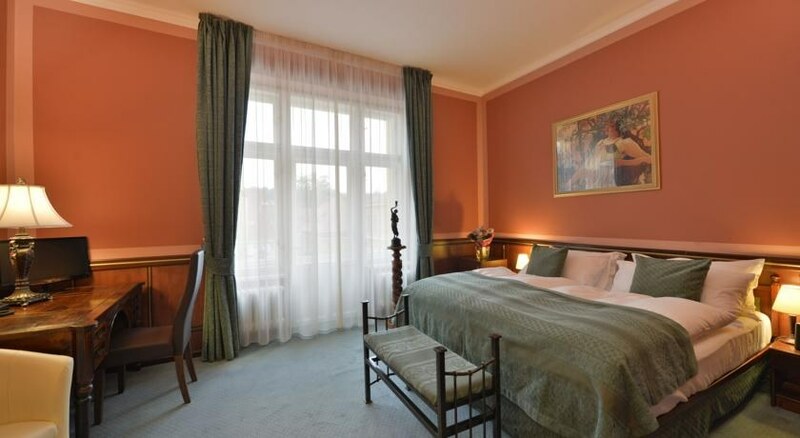 The Hotel is in immediate proximity to the St.Agnes Convent founded in 1233. 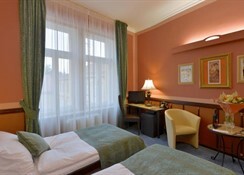 Only 50 meters from the bank of the Vltava River, the Hotel is also located within short walking (2 min.) distance from the Old Town Square (Staromestske namesti), the Jewish Town at Josefov (with the oldest Jewish cemetery in Europe). Hotel offers for the clients 31 air-conditioned guest rooms - all of them was completely reconstructed in 2005 - 2007. Total capacity of the hotel is 58 beds. 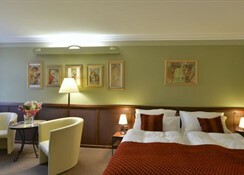 In some rooms there is also the posibility of the triple room (double bed + extra bed). 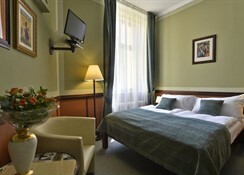 The rooms are spacious and elegantly and practicaly equipped. 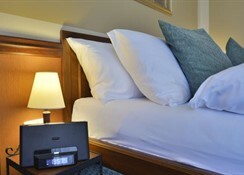 All rooms offers to the clients the family atmosphere. By car - Prague center - Revolucni - Dlouha - Rybná- Ha?talské nám. By the public transport: at the airport take the bus to the metro station Zlicin (metro line B) and you will go straight to the metro station Namesti Republiky (in front of the shopping centre Palladium and Kotva) - this station is about 0,5 km from the hotel - you will go to Revolucni street - Dloha street - Rybna street - to the Hastalske namesti.